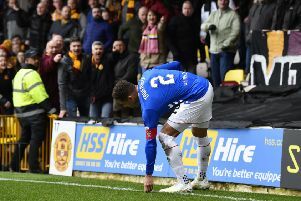 Motherwell have taken just two days to find and punish the offenders guilty of hurling missiles at Rangers captain James Tavernier and the Fir Park club’s chief executive, Alan Burrows, believes that proves the game can police itself. 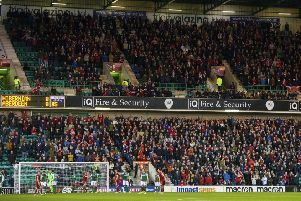 The possibility of government intervention into Scottish football increased at the weekend after incidents during the Hearts v Hibs derby at Tynecastle and Rangers’ 3-0 win at Motherwell. The SNP Justice Secretary Humza Yousaf has warned clubs that “nothing is off the table”, including the introduction of strict liability, where clubs are punished for the actions of their fans. But Burrows believes this is not necessary and the way Motherwell dealt with those who aimed a lighter and a pie at Tavernier is proof. “Through a combination of our staff working tirelessly over the last 48 hours or so we have managed to pinpoint the person who threw the lighter and the one who threw the pie,” he said. “We were able to use our CCTV cameras and, because the match was shown live on television, we had the luxury of studying the footage from Sky’s 24 cameras. “We’re grateful to the broadcasters, who supplied us with footage. That gave us four different angles to look at the incidents from. That supplemented the club’s own footage. “By using our own CCTV, the footage from Sky Sports and still photography – which proved to be very helpful – we have managed to identify both culprits. “We now know the name and address of the person who threw the lighter. Not only have we written to him today to advise him that he has been banned indefinitely from Fir Park but we’ve also passed his details on to Police Scotland. “As for the person who threw the pie, we’ve captured him on camera with our CCTV and, while we don’t yet know his name and address, we will soon find that out because we have a clear picture of his face. The prospect of strict liability is one which fills clubs with dread but Burrows insists there is no need for it. “The people who cry out for strict liability to be applied claim that the clubs don’t want to deal with these problems but that’s not true, as this proves,” he said.